The Board is also organizing selection trials and coaching camps for the selection of University Teams for participation in All India inter University Tournaments under the auspices of AIU at different places of the Country every year. A University Contingent of players is also being sent for participation in All India Inter Agricultural University Sports & Games Meet sponsored by the ICAR. The Board is organizing Summer Coaching Campus for the students and wards of the employees. 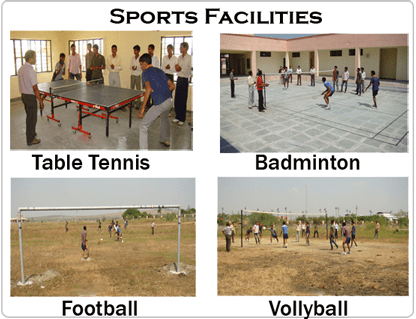 Besides supervising the regular sports & games activities of the Colleges, it has made all efforts to develop their sports infrastructure and facilities. The University Teams & players have performed well in All India Inter Agricultural University Sports & Games Meet and have won several Medals. The games activities at the college continued almost round the year. The regular games activities of students started in the month of August, 2012 with the Start of Inter-class Tournaments from 30th August to 5th September for selection of teams for I-Phase Intercollegiate Games held at Udaipur from 12-14th September, 2012. In which the CH&F, Jhalawar represented in Basketball (M), Chess, Badminton (M &W) and TT (M &W). The college Badminton team comprising of Mr. RAVINDRA KUMAR DHAKA, RAKESH KUMAR ROLANIYA (C), JITENDRA SINGH RANAWAT and SUBHASH JAKHAR had a remarkable representation and stood runner’s up in the tournament.